The most cost effective way to customize your H2 is with these complete kits developed by RealWheels. 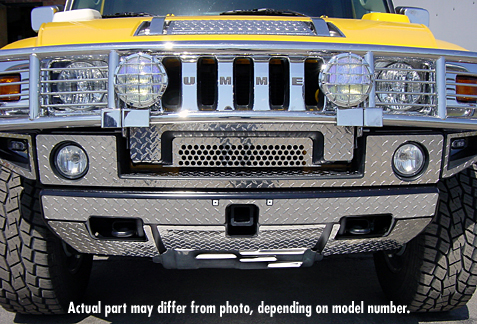 The bumper kits come in either mirror finished or diamond-plate stainless steel and make a noticeable impact on the style of your H2. Complete your bumper package with our Stainless Steel Tow Hooks.